Yes, but does it have a multirow bookmarks add-on, like the old 56 which the entire internet is actually still using because of that ? It does not. 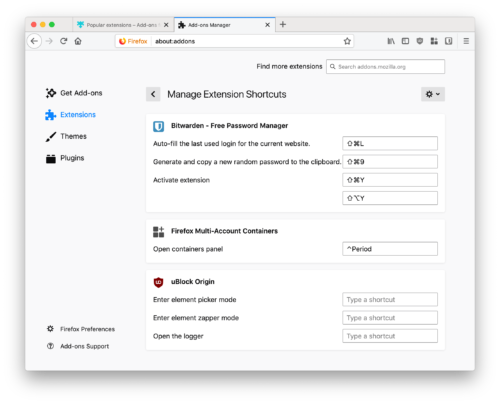 WebExtensions do not have the same ability to modify Firefox’s interface as legacy Add-Ons. Running an old browser places your computer and your data at great risk. If you’re unable to upgrade Firefox, then please consider switching to another browser that you are willing to keep up to date. Why does Firefox put a white background behind printed pages, even though (1) IE & Edge don’t (2) HTML specifies a default transparent background (3) I specify a transparent background? I tried to find where it does that in the code, but found it extremely hard to figure out the printing code. Can someone point me to where that happens, so I can try to patch it? This is particularly troublesome when trying to merge captured print files together. Looking at captured PDF output files shows big page-size white blocks that are not part of the HTML on the page. If you do file a bug, please come back here and comment with the bug number so I track it. I was surprised that FF has a setting for background color in Options, but I couldn’t find an option for transparency there, either. 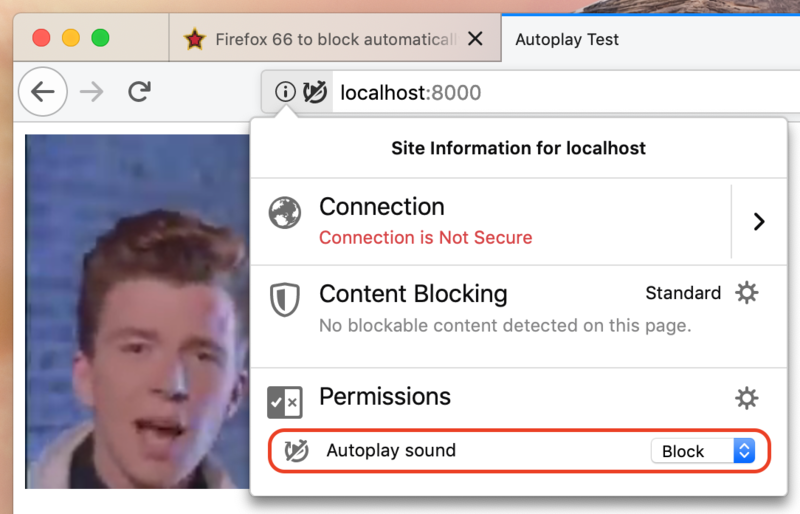 Audible Autoplay Blocking, is a major improvement now that many sites have allowed audio advertisements to load and play after you have scrolled past them. The only way you can stop them is scroll back trying to find the offending file. I noticed that the screenshots are made with macs. Is that the OS used by the great majority of Firefox users? 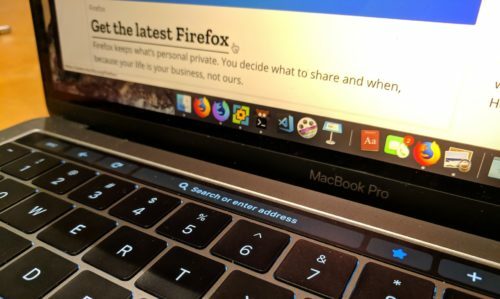 The vast majority of Firefox users are on Windows, but macOS and Linux are very popular among Firefox developers. Does this version take up less ram than the previous ones? If not, are there any plans to make the browser less of a ram hog? I really love Firefox, but the ram usage makes it impractical at times. The memory overhead per tab was reduced, but we used that budget to double the maximum number of processes that Firefox runs for web content. 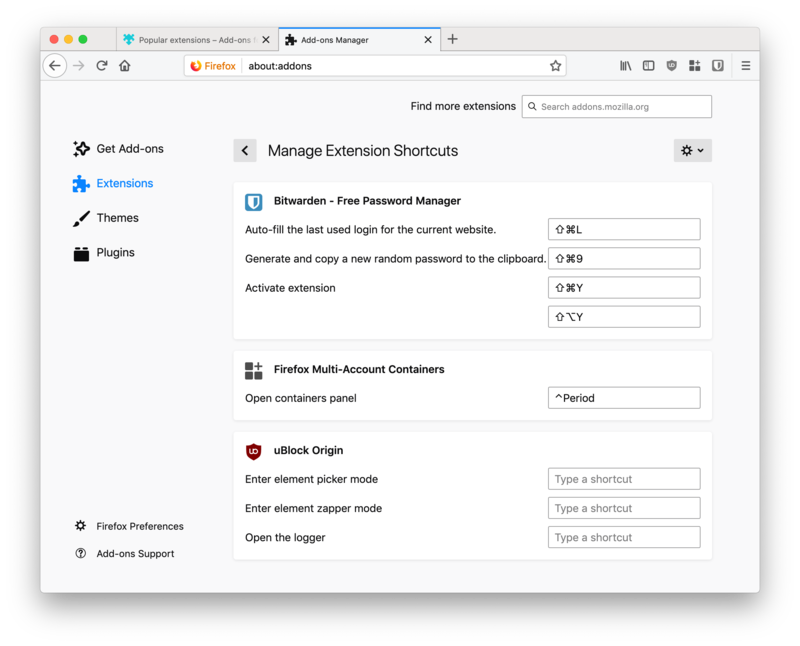 This means you probably won’t see much of a difference if you usually have many tabs open, but your Firefox should have better and more consistent performance thanks to the additional processes. There are ongoing projects to further improve Firefox’s memory footprint, which you can read about in the second bullet under “Browser Internals” above. We do not currently have a VPN offering, though we did test a partnership with ProtonVPN last year. Can’t use 66. Could not get Flash working. Without Flash I consider FF 66, or any browser, crippled. I don’t care how much sugar you add, once you piss in it by pulling Flash, I absolutely DO NOT WANT IT. Flash should still work in Firefox, however you should be aware that Flash is a dead end. Next year, Adobe will stop distributing Flash, and all browsers will completely remove support. See our press release and deprecation roadmap from last year for more information. If you still rely on websites that use Flash, please encourage the authors to upgrade to modern Web standards. I can’t get Flash to work in Firefox 66 either (linux). Plugin says it is up to date, Firefox says its there and working. But any flash content tells me there is no flash player installed. I understand that “upgrade to web standards” isn’t very satisfying, but is inevitable: Adobe themselves will stop distributing Flash next year, and there’s nothing we can do about that either. You can at least avoid the rush to take computers offline by using the DisableAppUpdate Policy to prevent Firefox from auto-updating. Of course, disabling updates creates security risk. If you do enable that policy, please ensure that you do only use that copy of Firefox with internal, trusted content. I very much appreciate how you are working against the internet cancer that is intrusive advertising. Thank you. Where can I find this option now in FF 66.0 on Linux? It only has a “Block websites from automatically playing sound” checkbox. Also, about:config settings that I had previously made to do exactly that have apparently stopped working. Videos (e.g. on twitter) have started to (silently) autoplay again. 3. Optionally, set image.animation_mode to “none” or “once” if you also want to disable animated GIFs. CSS animations and animations driven by HTML5 canvas / WebGL will likely continue to play, and I’m not aware of any straightforward ways to prevent that. I already had settings #1 and #2, and #3 does not seem to help either. However, I noticed that the problem doesn’t occur everywhere, and is possibly specific to Twitter. Twitter likes to autostart videos as they are scrolled into view, and FF currently does not prevent this. Not sure if the videos fall into the category you mention, but it previously worked on Twitter, so something has changed. Does FF consider scrolling enough “user interaction” to allow autoplay? I don’t think it should. If the video is already in view when the page is loaded, it does not autoplay. (scroll down, then up again => video starts playing). In my testing, scrolling alone did not allow autoplay on that Twitter link (and I could see the autoplay blocked message in the console every time the video scrolled back into view, so I’m certain it was working). How are you scrolling? I’ve observed that any click inside the page is enough to denote user attention and thus disable blocking. I once caught myself instinctively clicking the empty space to the side of the timeline before scrolling the page, which subtly re-enabled autoplay. Similarly, scrolling by hitting the space bar also counts, though the page up / page down and arrow keys do not. Will be super great have in the bottom panel, in the Permissions section the possibility of allow cookie or not per site. There is a “Cookies” overview under Content Blocking in the site information panel that lets you see what domains are setting / being prevented from setting cookies. Actually managing this on a site-by-site basis is a very advanced feature that is probably best left to add-ons. On the topic of cookies, I’ve been quite happy with first-party isolation, which separates third party cookies based on the current domain visible in the URL bar. For example, if two sites use the same analytics provider, you get two separate cookies: one for each site. This keeps cookies working within sites, but prevents them from tracking you across sites. @Dan, Is it possible to customize the layout of the touch bar? Hi Lenny! We don’t yet support a GUI for customizing the Touch Bar (that’s Bug 1522012), but you can change things by editing the ui.touchbar.layout property in about:config. Changes to that property require a restart to take effect. You can see the list of all available buttons in MacTouchBar.js. Currently that’s: Back, Forward, Reload, Home, Fullscreen, Find, NewTab, Sidebar, ReaderView, OpenLocation, and Share.